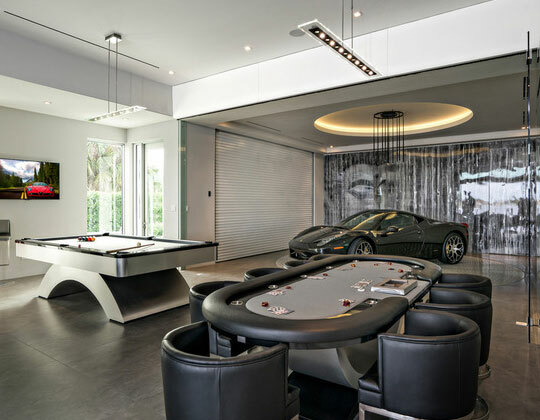 A man cave is a personal sanctuary where you can indulge your hobbies and guilty pleasures with freedom. 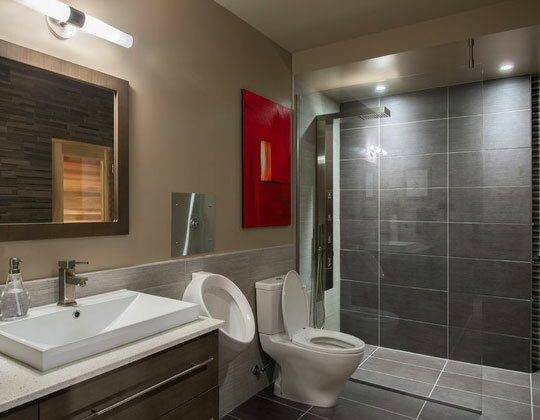 It provides personal space for much needed me-time especially if you have a big family and busy days. The best thing about it is that you have complete control over the aesthetics. 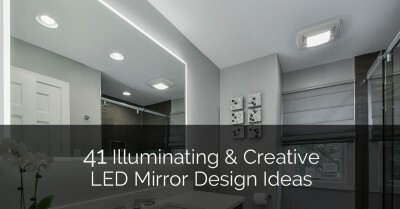 So however crazy or unique you want the design to be, you can have it all. 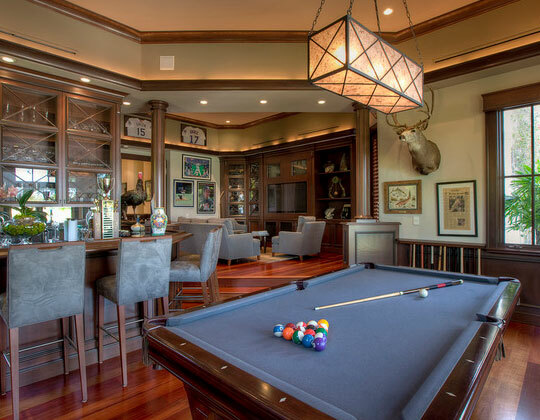 There are three important factors to consider when planning a man cave; location, style and furnishings. 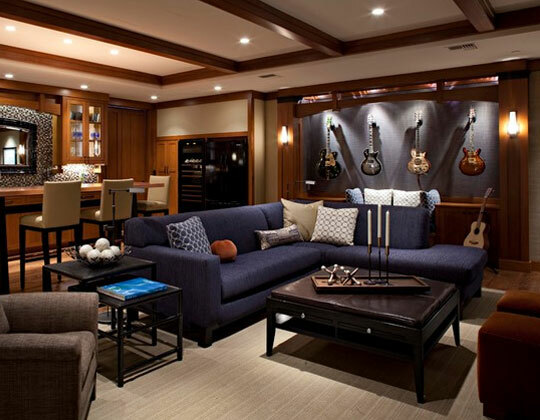 The location of your man cave will depend a lot on where you can get extra space in the house. 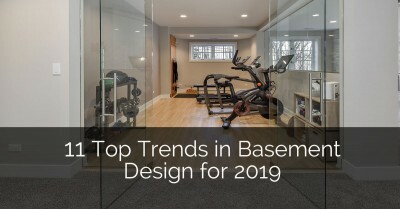 In many cases, the basement makes a perfect location. When properly refurbished, it is cozy and well insulated from the racket of the kids above. 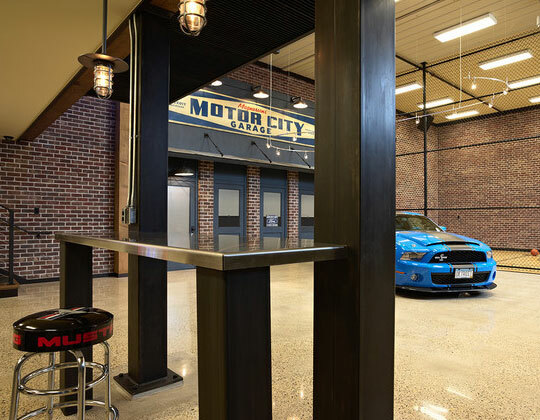 If you have no basement in your home or if it is being used for another function, there are plenty of great garage man cave ideas too. 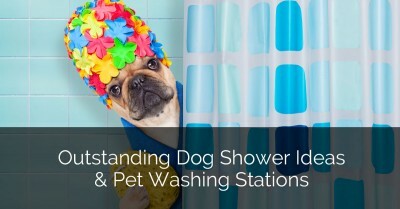 You can also use an extra room, an unused bedroom, or a secluded area in the house. 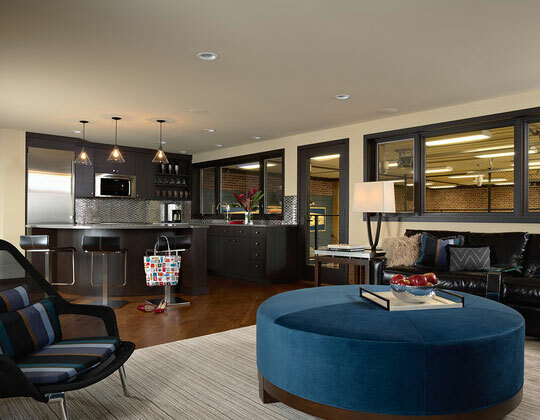 If you have limited space to use as a man cave, don’t worry, there are some creative man cave ideas for small rooms below. 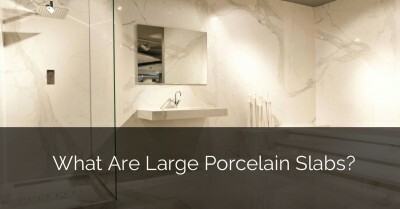 Wherever you locate it, what is most important is the feeling of privacy and personal space. This is the most important part of the man cave. Be as creative, as crazy, and as unique as you want. 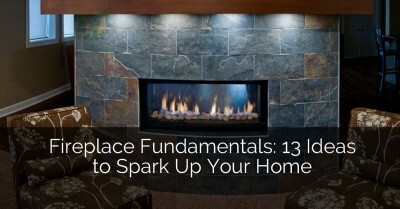 The most common starting point is to decide what theme you want dominating the room. This will depend on your hobbies and activities. Some create replicas of submarines or airplane cockpits. Some fill their man cave with film or music regalia. It all depends on your passions. 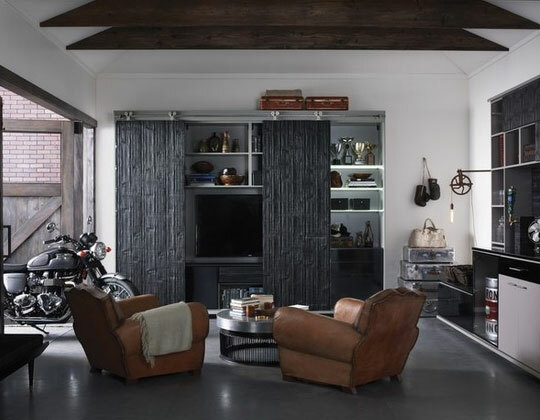 The trick is to create a theme that feels right at home with you, one that makes your heart race a bit every time you step inside the man cave. 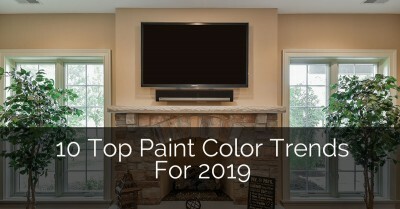 Make sure that everything from the wall color, to the style of furnishings, to the flooring are aligned with a specific theme. 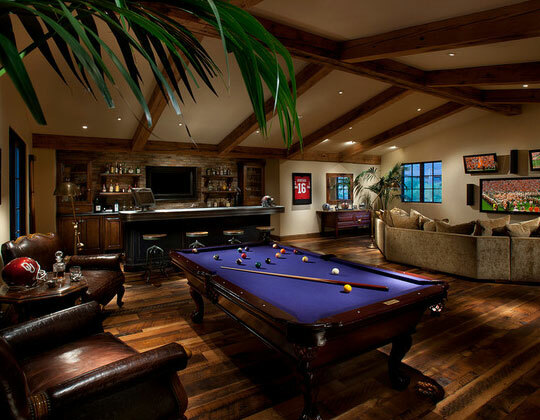 While we have numerous man cave room ideas below to get your creative juices flowing, you should also check out our home remodeling ideas. A man cave is a home within a home. As such, it must be well accessorized to become a livable space. Furniture such as a sofa and recliner are a must. 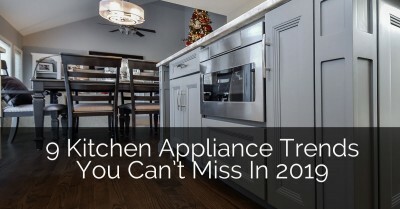 Also consider putting in a fridge, microwave, drinks bar (if size allows) and bar stools. If you are a sports or movie lover, make space for a large screen TV. 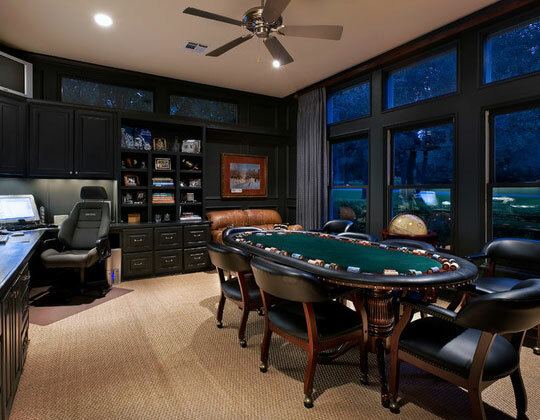 A pool table, poker table, or dart board are also great additions especially if you plan on having guests over often. Other accessories include sports memorabilia, wall art, and personally crafted items. 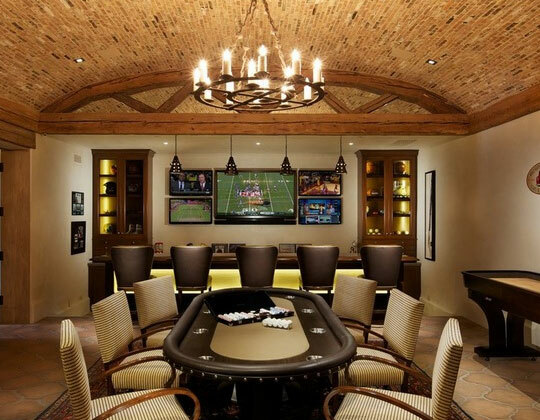 Time to dig into the cool man cave ideas we have collected below and start planning for your own man cave. 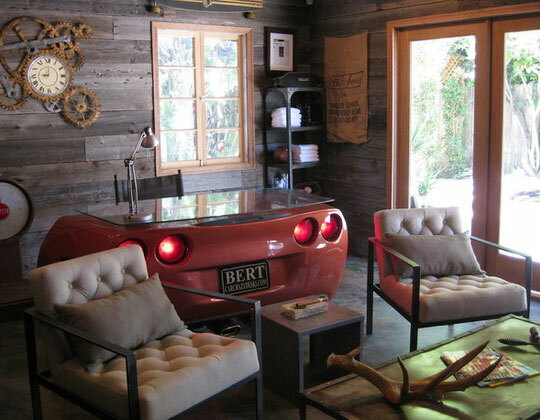 What a great conversation and bar area that is off a car collector’s garage. This space also connects to a basketball area. Seriously, just an exquisite space. I really like the vintage look to this space. 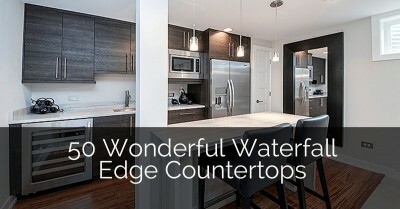 There are so many unique design elements that add interest to the room. What a great space for the golf lover, but also for family to relax and unwind. 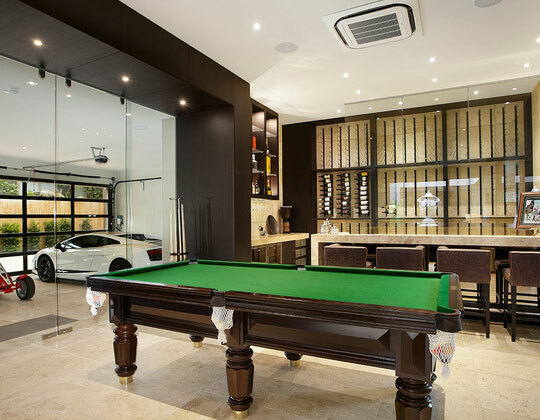 This man cave is so sleek and modern. 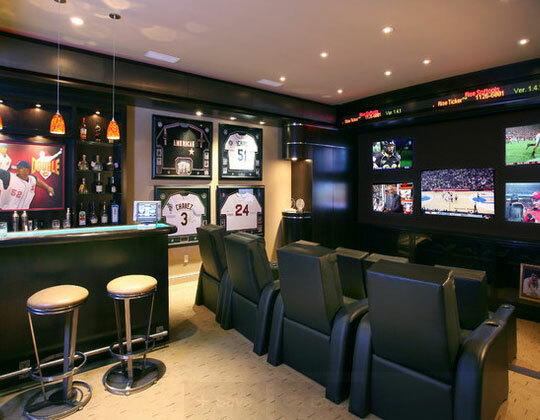 Man cave for a successful hockey player. Great sports memorabilia displays and lush seating area. Polish up your favorite rides and/or play some hoops with friends. 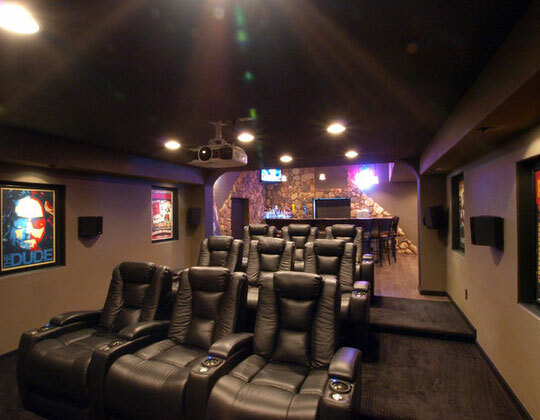 Really cool theater in this bachelor basement. A very contemporary version of a man spa and yes it includes a urinal. A sports fan dream! Look at all those screens. The hours that could spent in this space is endless. Love the brick wall up at the stage and the detail on the side walls too. A great space to share some music and memories. So beautiful and comfortable–you may never want to leave this space. Very rustic. Interesting tin ceiling. 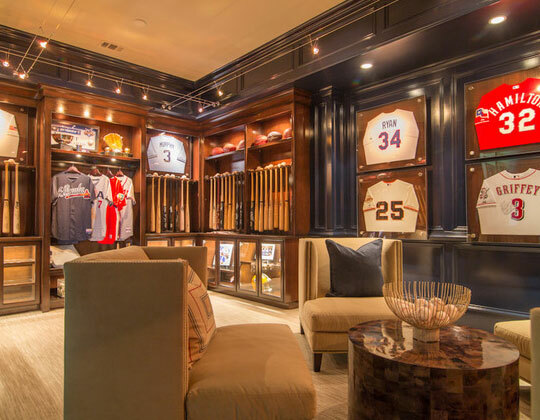 What an impressive use of space for this baseball player and collector. Nice conversation area. 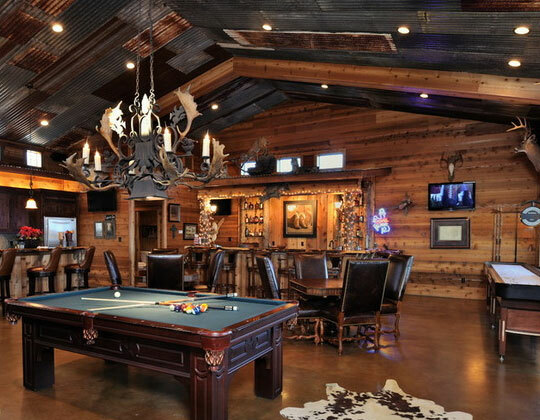 Rich colors and a little hunting memorabilia add to the masculine feel of this elegant space. What a nice space. Balance out business and hanging out with your buddies. Traditional space that is perfect for relaxing. The stonework is a nice extra feature. 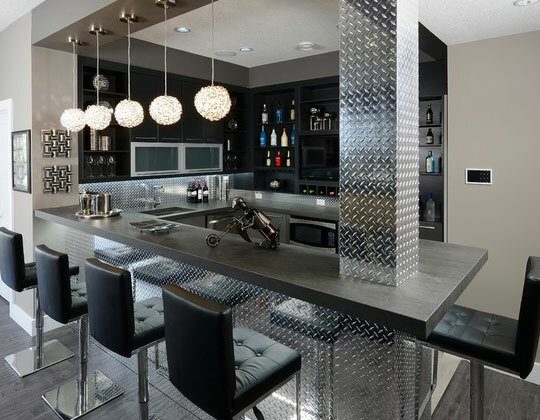 Love all the diamond plate in this space. Seems perfect for the car or motorcycle enthusiast. 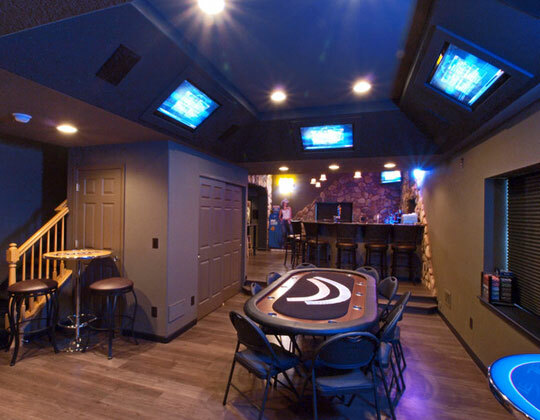 Poker table, bar, multiple tv screens, what a great space. The room is so rich and warm and I love the detail on the ceiling. 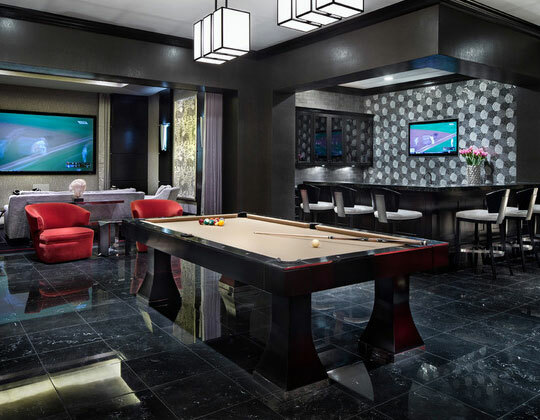 This upscale man cave includes a game room, bar, library, lounge and car display showroom. A very modern and masculine space. It reminded me of something you’d see portrayed in the comic book movies. The gray tones within the tile floors and stone on the wall look really nice with the dark wood. 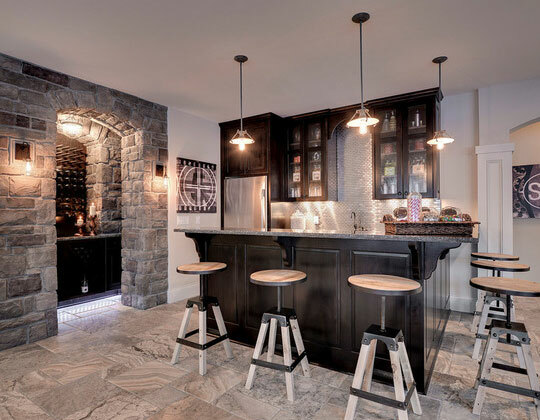 Wine cellar area is very eye-catching and the bar stools add a nice touch! 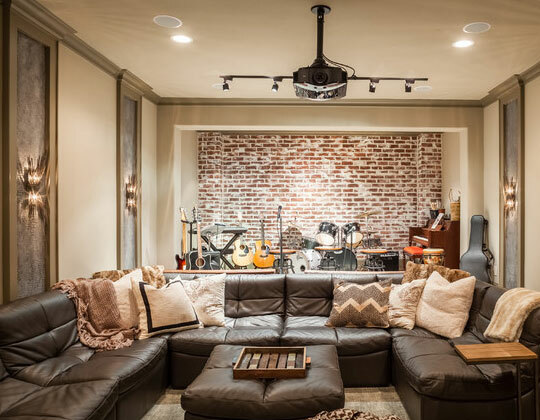 Handsome man cave for the musician. Even though this room is expansive it still feels cozy and comfortable. Attractive ample cabinetry and the frames around the screens are a nice tailored touch. Extremely masculine. The barn doors almost have a cave feel and look to them. 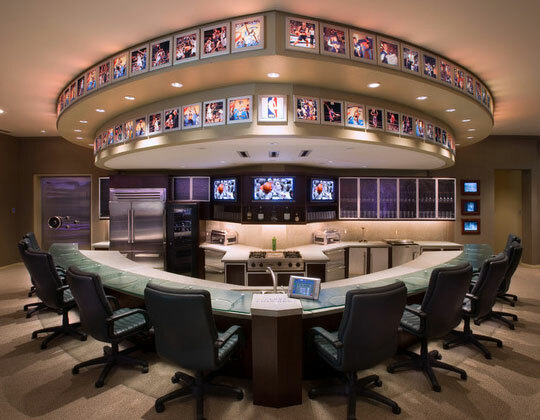 While this area of this bachelor man cave is somewhat simple in design, you can’t ignore the great built-in tv screens overhead. Such a cool concept for a desk! 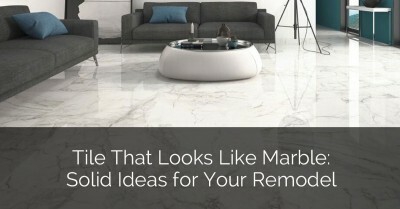 By now, you must be brimming over with your own man cave ideas, or at the very least, you have found one or two ideas worth considering. 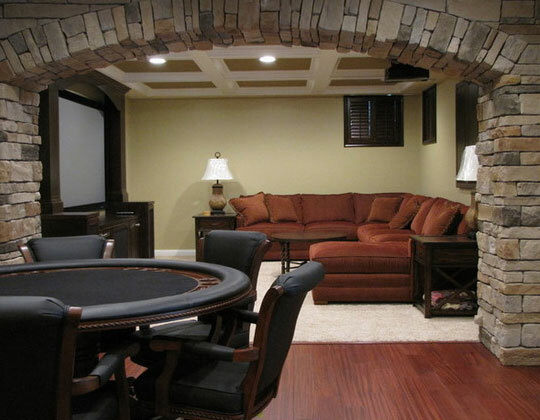 If you are ready to go ahead with creating a man cave, we are here to help. 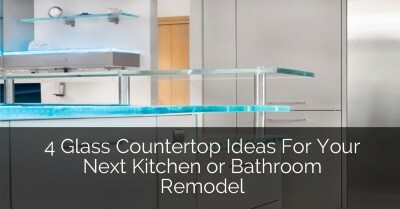 We know more than a little about interior design and home remodeling. 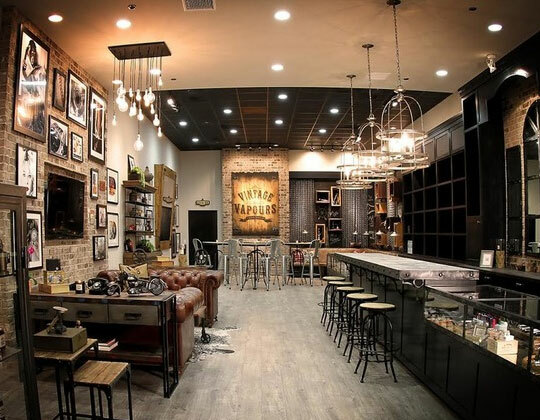 Our experience and expertise would come in handy in creating the coolest man cave of your dreams. Feel free to head to our basement finishing page for more info. Having a personal man spa is a great idea Bryan. Thanks a lot for this post, Really educates a lot of people. Damn, some of these definitely made me jealous. 😀 As a huge movie fan I especially love the bachelor theater, but the other designs are awesome as well. Thanks for sharing! I think it would have to be the “Modern Man” one for me. Does the Ferrari come as standard with the cave? 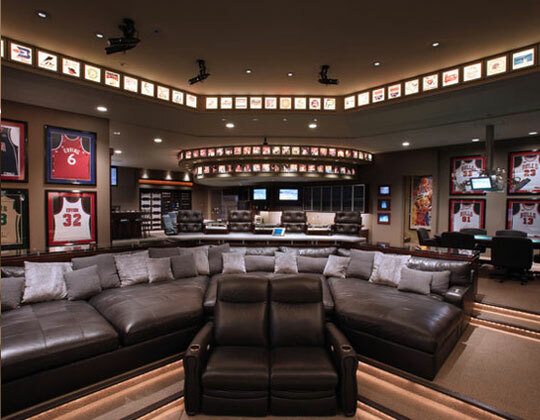 All the man cave ideas are awesome… After looking at all the pics, I know what I want in a man cave. These caves are fantastic! Thank you for sharing ideas and tips! Wow.. as an die hard techy, sports fan, & movie fan, so many options to choose from.. yeah I’m jealous..